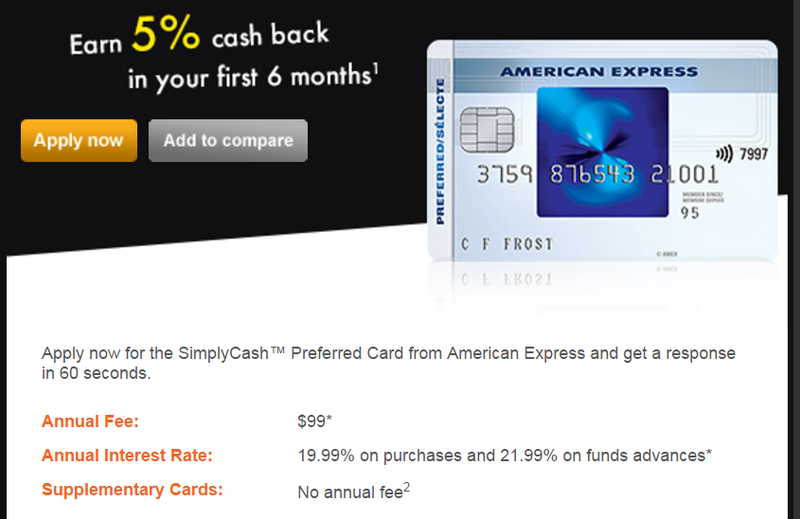 The AmEx SimplyCash Preferred card is getting a change now. The annual fee increases from $79 per year to $99. The 5% welcome cash back in the first 6 months is now capped at $300 instead of $400. The good news is AmEx increase the cash back rate after the welcome rate from 1.5% to 2% (no limit). And the exciting news for all existing cardholders is you can get the 2% cash back rate and keep paying the $79 annual fee. If you want to apply this card, you can click: http://www.canadianrewards.net/p/amex.html With the referral links at this page, our website will earn some extra bonus. We appreciate you using our links where possible.